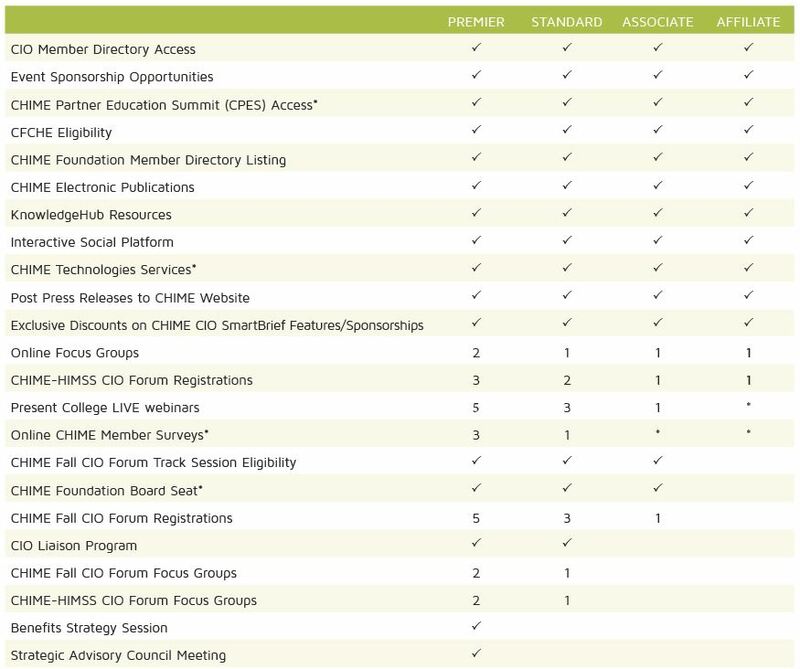 The CHIME Foundation has four tiers of membership (Premier, Standard, Associate and Affiliate). As industry experts in healthcare IT, Foundation members play a vital role in CHIME’s continuing educational events for CHIME CIOs. Members have the opportunity to host Focus Groups, College LIVE sessions and connect with CIOs on myCHIME, to name a few. In addition, CHIME CIO Forums offer Foundation Members the opportunity to connect with the top decision-makers in HIT. Current Foundation members have the option of upgrading their membership level should there be interest. Please note, membership levels are capped per our Board of Directors and not all membership tiers may be available.